So, it’s summer and once again you are absolutely baffled regarding your outfits and accessories. Well, summer fashion is indeed very tricky and if you don’t manage to try out uber cool stuff, no ladies are going to look back at you. So, here are some innovative summer fashion tips that will add an extra edge to your appearance and will also make you perfectly ‘drool-worthy’. Well, the updated linen suit is definitely the ‘in thing’ this season. So, if you want to rock the crowds, nothing can work better than these suits. In fact, with the patch pockets, vibrant shades and crisp labels; this outfit is the epitome of drool-worthy summer fashion. Khaki suits are a ‘must have’ in for all fashion conscious men and this season, Khaki suits too are quit in fashion. Try out the darker shades like bottle green, burgundy or even brown to add a different edge to your appearance. These suits are both stylish and chic simultaneously. Single pleated khaki pants are totally boring and pretty much out of fashion. So, it’s almost, time when you need to replace these single pleated khakis with single pleated chinos. Not only do these chinos have a better variation of colors, but they also offer you a polished and ‘gentlemanly’ look. So, simply try out the crisply tailored single pleated trousers to add a new definition to your appearance. 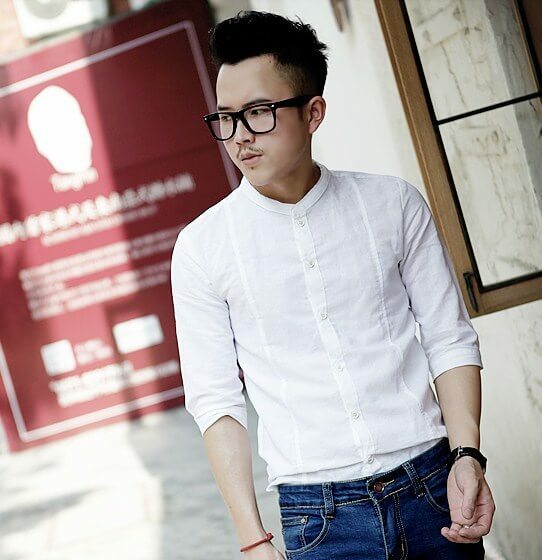 Well, modern linen shirts are pretty much in vogue these days. These shirts are baggy and crumpled offering you the perfect look for casual errands. They are also finely constructed and innately comfy. In fact, if you really wish to enjoy a rumpled and baggy look this season, nothing can work better than these modern linens. Well, sun faded tees are definitely very much in fashion. However, this simple tee can have a more refined structured in their dressy forms. A dressy tee is modern and way more, bolder version of a classic sun faded tee. So, try this for a cool and laid back look this summer. If it’s summer and if you love adventure sports, nothing can work better than the Baja Pullovers. Try these pullovers to add versatility in your wardrobe and keep a perfect sporty look this season. So, what’s keeping you waiting? Simply follow these golden summer fashion guidelines to stun both the sun and the ladies, this summer.